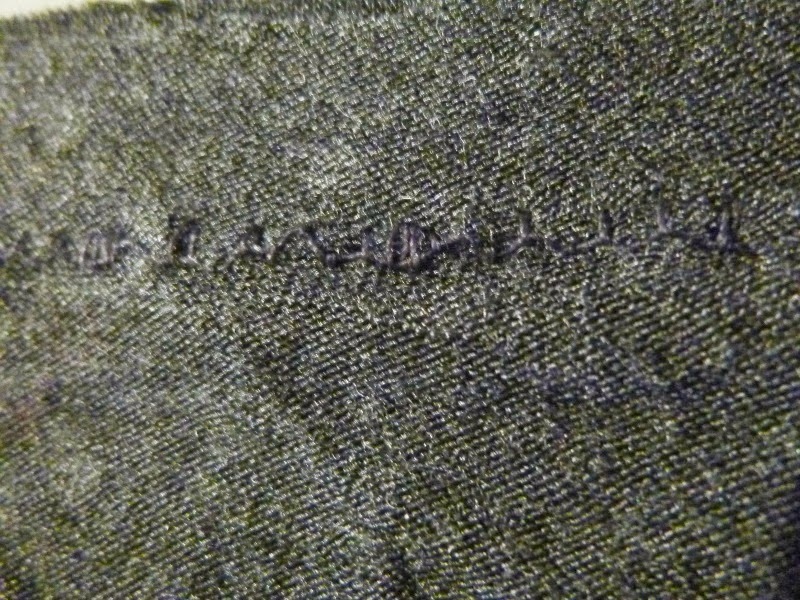 I've started to read a few more UK sewing blogs lately, and I've discovered the use of the word "wadder" for a project gone wrong. I have a real wadder for you today, one that had so much potential and is now a complete waste. It would be nice to start the new year off right, but I gots to keep it realz around here yo. I don't have Christmas parties or fancy dinners to attend, but that didn't stop me from wanting a sparkly holiday garment like everyone else. 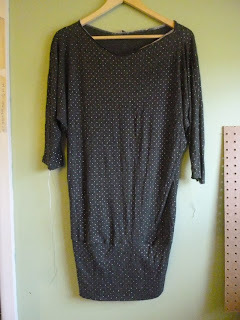 A few months ago I ordered this rayon/spandex jersey from Girl Charlee, thinking it was a polka dot print. Wrong. 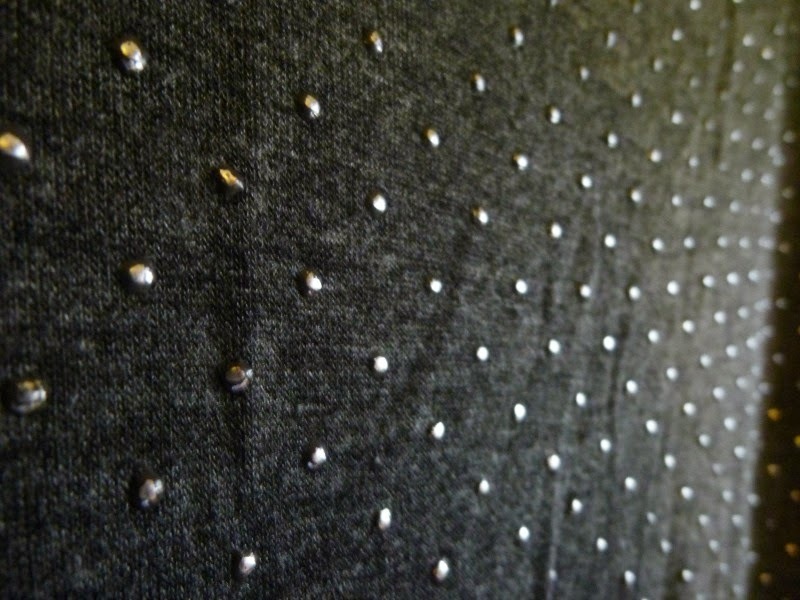 The dots are actually raised off the surface of the fabric, sort of like puffy paint. 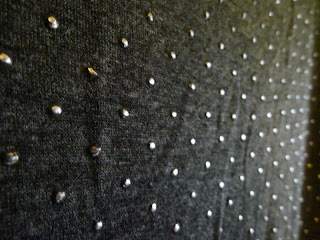 Originally I wanted to make some leggings for me (hello again McCall's 6173) but I was sort of uncertain about having textured leggings. 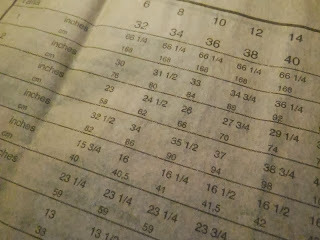 I decided instead on Burda 7678 when I saw Jo-Ann's had Burda on sale a few weeks ago. 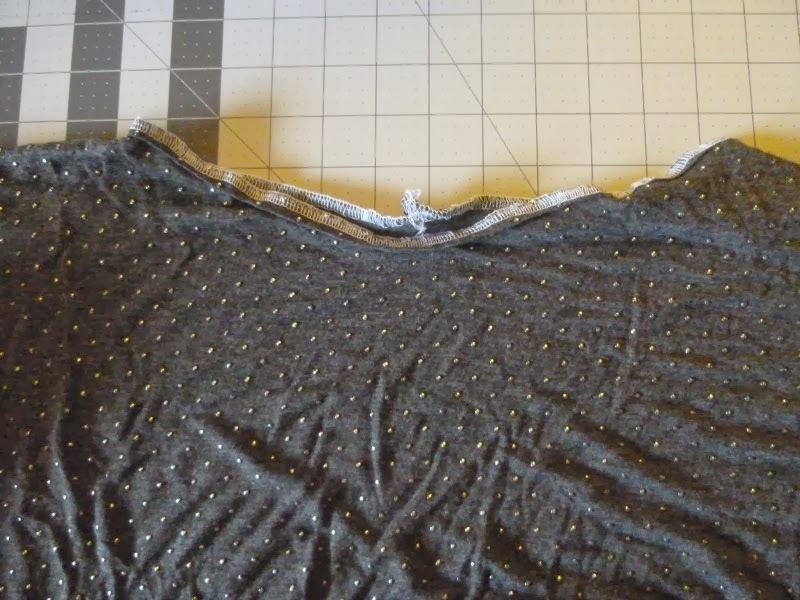 I'll cut to the chase: this was the worst fabric I've ever cut and/or sewn. 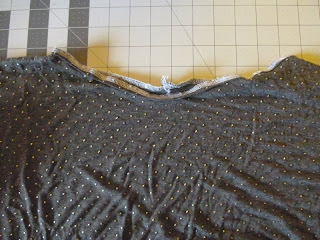 My scissors screamed at me every time I went through a dot, and my feed dogs could NOT move the fabric without bunching it. 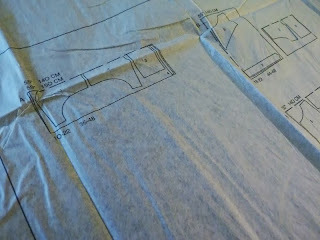 I was afraid to use my serger for fear of damaging the knives, but eventually I was so frustrated I tried it anyway. No damage, but it still bunched. Zig-zag stitch on the sewing machine. 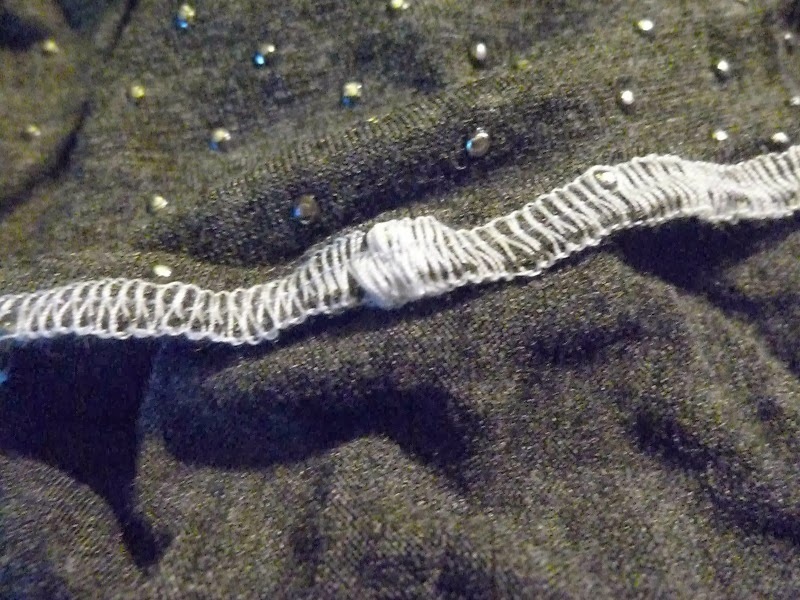 4-thread overlock on the serger. So. awful. I hand-basted some seams and it helped a bit, but there was nothing I could to help the neck band. Eaten alive by the serger. Ugh. 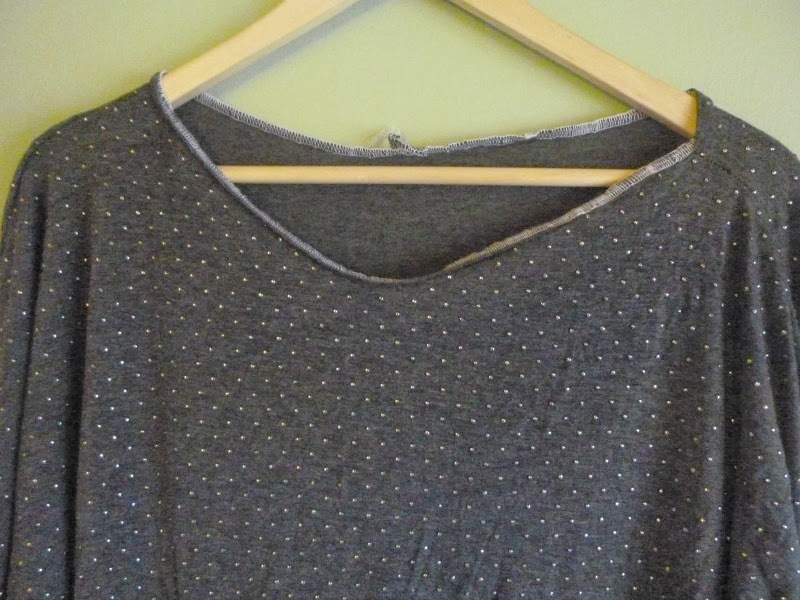 Turns out the neckline was too wide for my tastes, anyway, which means I can't think of a way to fix this even if I wanted to do so. Maybe add a cowl?? It's just bad bad bad. 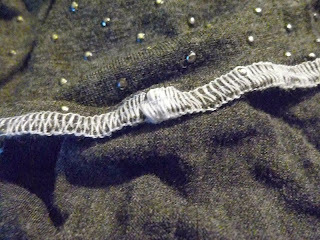 I don't even dare hem the sleeves because it will be a puckery mess, and I'm afraid to use Steam-A-Seam for fear of melting the dots. So this is a fail due to the fabric, not the pattern. 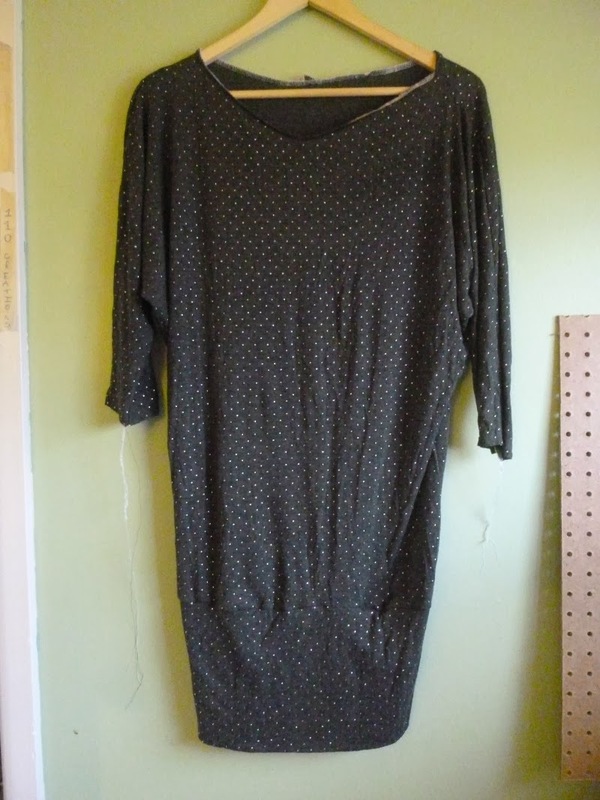 I agree with other reviews on PR that it's long, more like a tunic or dress than a top. The pattern directions state that it's drafted for a woman who is 5'6" and I'm 5'4", but if I truly wanted it to be a shirt I would have to shorten it 4" at least. The band at the bottom is probably too long for my proportions as well. I DO like the cut of the sleeve, it's such a hard balance with a kimono-style to avoid looking like a potato sack, but I felt like this pattern did a better job than some others. I'm sorry there are no photos of me wearing this, but I knew if I put it back on for this review that I would inevitably try fixing it. Which would get me nowhere except the bathroom with soap in my mouth. Thanks! The good news is that I didn't spend TOO much time on it, since it's such a simple pattern.